Zodiac Sigma 700, the Top-Of-The-Line Product. Designed for the modern office. ZODIAC Sigma 700 is a microprocessor controlled loudspeaker telephone with full hands-free operation and LCD display. It contains a variety of functions -- memories, automatic re-dial when line is busy, possibility to block outgoing phone calls, special functions for use behind a PABX and for advanced functions etc. Valuable features that will be useful and by reading this manual, you will master all functions with ease. 3. MUTE Privacy switch. Cuts the microphone circuit, so that the other party cannot hear you nor your environment. 5. Hook to hold the handset when wall-mounted. 6. Loudspeaker for Hands-free operation. 7. Volume control for the loudspeaker (left side of main unit). 8. Label for own telephone number. 9. Flash switch. Enables transfer in offices and access to PLUS services. 10. REDIAL. Dials the last number dialled. 11. Delete key . Back-space. To delete the last entry. 12. WAIT. Used to programme wait for external dial tone. Generates a 3 seconds pause when pressed twice. 13. Recall key ^. To scroll the last four dialled telephone numbers or to advance in SET-UP mode. 14. HANDS-FREE OFF switch - ends a call in hands-free. Same function as replacing the handset. 15. TIMER. Indicates the length in minutes and seconds of the last call. 16. STORE. To store memory entries and exit SET-UP. 17. HANDS-FREE ON switch. Activates hands-free when used as loudspeaker phone. 18. HOLD switch. To set the line on hold. The handset can be placed on-hook without shutting down the call. 19. Microphone for hands-free operation. 20. Ringer volume switch on the right side of the main unit. 21. Ringer mode switch on the right side of the main unit. Three different modes can be selected. 22. Keyboard with 0 - 9 and * and #. 23. Memory keys. Memories for up to 20 different telephone numbers. 24. Display which among other things shows the dialled number. 25. Red indicator lamp lights when the telephone rings during an incoming call and when the telephone is in use. 26. Power adapter jack. Used to connect an external 12 V power source in areas with insufficient line current to guarantee performance (accessory). 27. Console for tilted position on a table or wall mount. 29. Modular plug for the spiral cord. 30. Modular plug for the telephone line cord. 31. Battery compartment for 2 type AAA back-up penlight batteries. 1 Console for tilted position on a table or wall mount. Usually mounted on the main unit. Fit one side of the modular contacts of the spiral cord to the handset. Connect the other end to the connector marked HANDSET (29) on the underside of the main unit. Be sure to press in the connector until it snaps in. *	Remove the console (27) by pressing in the middle of the sides at the slits (32). *	Remove the battery compartment cover. *	Hold the hook switch pressed down. *	Insert the two batteries (type AAA) according to the markings in the compartment. *	Replace the battery cover. *	Release the hook switch and check that the handset symbol lights up in the display. *	When batteries are inserted for the first time. *	When the set has been in use without batteries. *	When a reset has been performed. Be sure to remove the batteries when the telephone is not used or placed in storage. This prevents them from running down and eliminates leakage. Insert the modular connector of the line cord into the connector TEL LINE (30) on the bottom of the main unit. Plug the telephone cord connector into the wall outlet. Snap on the desk/wall console (27) under the telephone main unit with its higher part facing the rear when placed on a table or with its higher part facing the front when mounted on a wall. Do not use the console if the telephone should stand level on a table. The Sigma 700 can be mounted on a wall by using the console included (27). When mounted on a concrete wall, be sure to use the enclosed plastic plugs. The console is mounted so that it slopes inward towards the top. Use the console as a jig to drill the holes. Feed the line cord and, if present, the adapter cord through the guides provided on the console before securing it on the wall with the three screws enclosed. Place the telephone main unit on the console so that it fits on the slits in the main unit and carefully press it in place until it snaps in. Adjust the length of the cord(s). To be able to hang the handset in place, be sure to loosen the plastic cover (5) by means of a screw driver and turn the hook. Replace the cover (5). Adjust the sound level of the ringer to the level required. It can be set to (L)ow, (M)edium or (H)igh. The sound (or the frequency) of the ringer can be adjusted with the switch (21) to three different sound patterns. Useful to be able to hear your own telephone among many others. The handset volume can be set with the volume control (2) provided on the side of the handset. The normal position is 1/3 up from minimum - the maximum position is increases the sound level by a factor 3. Note that the volume control should not be left in the maximum position - only to be set when needed. By pressing this switch, labelled MUTE (3), you cut the microphone circuit so that the other party not can hear you or the people you are talking to in the room. The same function can also be achieved by pressing the HOLD switch (see below). NOTE: The privacy switch has no function when the telephone is used in hands-free mode - then use the HOLD switch (8) instead. By pressing the HOLD switch both the loudspeaker and the microphone are inactivated without interrupting the actual telephone line connection. This function allows you privacy, when needed, when in hands-free mode. However, do not forget the telephone in this state - the red indicator lamp on the telephone lights, the text 'HOLD' and the handset icon in the display (24) are present. If the other party hangs up, the line will be cut after a while, but your line or extension will be blocked until you reset the HOLD function. To reset, press HOLD once more. Zodiac Sigma 700 registers the time of every call and stores the data for the last call in its memory. During and after the call you can press the TIMER switch to check how long time you have been talking. A renewed call resets the time counter and it will start counting from zero. This is the usual way to place a call, which means that you first lift the handset or activate the phone by pressing the HANDS-FREE ON switch (17) before you dial the phone number. *	Lift the handset (1) or activate the HANDS-FREE function (17) to activate the loudspeaker. *	Wait for the dial tone. *	Dial the phone number from the keypad (22), from a memory key (23), scroll through the last dialled 4 numbers with the recall key or use the re-dial key (10). If you want to switch to hands-free operating after having placed the call in the above manner, just press the HANDS-FREE ON switch (17) and replace the handset and continue the conversation over the loudspeaker (6) and the microphone (19). The speaker volume can be adjusted with the volume control (7). The normal position is set to its middle position. Simply adjust it to a pleasant level. Avoid setting it to its maximum position - this position is only meant to be used in case the incoming signal for some reason is extremely low. By using this method your telephone is still free to accept an incoming telephone call. You are just preparing your next phone call. *	Dial the phone number from the keypad (22), from a memory key (23), scroll through the last dialled 4 numbers with the recall key or use the re-dial key (10). An incorrect entry can be corrected by using the back space key (11). *	Lift the handset (1) or activate the HANDS-FREE function (17). The Sigma 700 connects to the line, waits for the dial tone and dials the phone number shown in the display. *	When the other party answers you can start talking in hands-free mode without touching any key or you lift the handset and talk as you are used to. Pre-dial is the same method as is used when placing a call from a cellular telephone and it is very handy when placing calls with long number sequences, as you can watch your entry in the display while dialling and correct any mistake with the back space key before you take the CO line. If you want to call a number which includes waiting for a new dial tone, for instance when placing international calls or when you are located behind a switchboard, you can either wait for the new dial tone or you can press the WAIT key (12). By pressing the WAIT key, your telephone automatically waits for the new dial tone before dialling the remaining digits. If the new dial tone fails to appear within 30 seconds, the Sigma 700 will disconnect and you have to repeat the procedure. Note that in pre-dial, you must include the WAIT if there is need for a new dial tone in the number sequence. If you wish to set a shorter pause, press the WAIT key twice. The wait function then changes its mode into a 3 seconds pause. Note also, that if you use the telephone behind a switchboard, you can also programme an automatic wait. For further details refer to page 14. *	Lift the handset or press the HANDS-FREE ON key (17). *	Press the RE-DIAL key (10). *	The last entered phone number is dialled and at the same time shown in the display. If the line still is busy, replace the handset or switch off the loudspeaker and try again. Note that maximum 23 digits can be stored in memory. If more have been entered, the re-dial function is not activated. The telephone can dial a phone number automatically 10 times with 1 minute intervals when a line is busy. *	Press the RE-DIAL key (10) when the handset is on-hook or the loudspeaker is off. The phone will now take the line, wait for dial tone and dials the last phone number called. Note that it takes a few seconds before anything happens after pressing the key. This is perfectly normal, as the telephone senses the line state before attempting to dial. *	If the line still is busy, the call will be shut down after 2-3 ring signals and the telephone will make a renewed attempt one minute later. *	A symbol (triangle) in the display indicates that the phone is in automatic re-dial state. To the right the number of attempts are showed. *	If still unsuccessful after 10 attempts, the telephone shuts down. *	If you wish to continue trying, press the RE-DIAL key once more, and the telephone will try another ten times. *	In case you do not want to continue trying, just press the HANDS-FREE OFF key (14) or lift the handset briefly and replace it. The sequence is also shut down in case you answer an incoming call. *	When you hear the other party answers through the LOUDSPEAKER (6), you can either lift the handset or press the HANDS-FREE ON key (17) and talk in hands-free mode. NOTE that you in HANDS-FREE mode must verify the call by pressing the HANDS-FREE ON key (17) to keep talking in hands-free mode otherwise the connection will be interrupted after 30 seconds. Your telephone stores the last four dialled phone numbers, which can easily be accessed. *	Lift the handset or press the HANDS-FREE ON key (17) to activate the loudspeaker. *	The telephone connects to the line, waits for the dial tone and dials the phone number. After having pressed either the RE-CALL key (13), a memory key (23) or dialled a phone number from the keypad (22), the phone number is shown in the display. This is the phone number the telephone will dial when you lift the handset or activate the loudspeaker. It is interpreted as a PRE-DIAL which is described on page 8. The number will disappear from the display after 30 seconds. If you want to dial a new number sooner - just lift the handset briefly replace it and use the phone as you normally do. 20 phone numbers can be stored in the phone's memory. These can then easily be accessed by pressing the corresponding memory key (23). Each memory can store max. 23 digits including R, * and #, WAIT and space (TIMER symbols, see below). If your telephone is connected to a switchboard, please also refer to "Getting an outside line" on page 14. *	Press the STORE key (16). STORE is shown in the display (24). *	Type in the phone number to programme from the keyboard or use the RE-CALL key (13). *	STORE and the telephone number is now shown in the display. *	Select and press the memory key location (23). You have now entered a telephone number in the memory of the telephone. Further telephone numbers can be entered by repeating the procedure described above. It is possible to programme space for variables used i.e. for special functions or in bank on telephone services when programming the memories. By pressing the TIMER key (15) the character "_" is shown in the display. When a memory key contains this character, it will send all the programmed digits before the "_" and then waits for you to complete the requested digits, which are sent immediately after you press a key. Please also refer to "auxiliary services" on page 12 and 13. Phone numbers stored in memory (23) can be recalled first and then taking a CO line or the other way round - first take the line and then by pressing the corresponding memory key (see also page 8). If your telephone is behind a switchboard, please also refer to "Getting an outside line" on page 14. *	The memory key where the phone number is stored. *	The RE-DIAL key (10) in case you want to dial the last number called. *	After having selected the number to phone you must send it by pressing the HANDS-FREE ON key (17). *	If you want to dial the same phone number once more, press the RE-DIAL key (10) without lifting the handset. The telephone then attempts 10 tries, or you take the line first and press the RE-DIAL key to make one re-dial attempt. *	Select the phone number by pressing the memory key (23) where the phone number is stored. *	The phone number is shown in the display (24) and it easy to check that the number is the one you want and that it is correct. It is possible to edit the number by using the BACK-SPACE key (11) . *	Lift the handset or press the HANDS-FREE ON key (17). The phone number is sent automatically; you do not have to wait for the dial tone. *	If the number is busy, replace the handset or press the HANDS-FREE OFF key (14). *	If you want to dial the same phone number once more, press the RE-DIAL key (10) without lifting the handset. The telephone then attempts 10 tries, or you take the line first and press the RE-DIAL key to make one re-dial attempt. Provided that your telephone is connected to a telephone exchange providing special functions, you can also programme these in the memory keys. They are entered in the same way as storing phone numbers (refer to page 10). In the description on the following page "----" refers to the digits that you select by yourself, i.e. wake-up time, a different phone number etc. These characters you generate by pressing the TIMER key (15). In case you always want the same time to wake up at, or you intend to use only one phone number to transfer your phone to, you can enter the digits directly instead of enter "----". When you want to activate one of the special services, just press the memory key where the service has been programmed. As long as you keep the memory key pressed down, the programmed digits and characters are shown. When the memory key is released only the "-" characters are shown and you just add the wanted digits by using the keyboard. Confirm by pressing the HANDS-FREE ON key (17) or by lifting the handset. A recorded message informs you that the service you requested has been received. Some of these special services are already available in your ZODIAC Sigma 700, i.e. re-dial. For further information on these services please refer to your telephone directory. New services could also have been introduced after printing of this manual. Zodiac Sigma 700 has been specially design to operate behind modern switchboards - programmable WAIT for external dial tone and possibility to programme the special digit(s) to get access to the external telephone lines. The memory keys can easily be used to quick access to the switchboard codes in the same way as described above. Note that the access codes may vary from different switchboard manufacturers. Consult the person in charge of telephones at your company or consult the company that installed your local switchboard in case you cannot find any information. There should be a short-form manual describing all functions for everyone to read. Behind switchboards telephone line connectors may not be of the standard that you are used to. Fitting line cords accessories are available from your local dealer or from Zodiac. Wake up call *55*----#	Enter the time to wake up at from the keyboard (always four digits). Re-routing *21*----# Your phone number is re-routed to number -------. Note that the number of "_" entered must correspond to the number you intend to transfer your phone to. Re-call 5 Your phone places the call as soon as the other party hangs up. A condition is that both phones must have access to this kind of service. Transfer *61*---*--# Your phone number is transferred to number ------- after -- seconds if nobody answers the phone. Incoming *43#	If someone is calling you during the time you are talking on the phone, two tone beeps will be heard in your phone. You can either finish your call within 20 seconds or set your call on hold by pressing the R key and talk to the other party or connect all three. R1 Closes down your call and connects the person waiting. R2 Toggles between the calls. R3 Connects all three lines together. R+WAIT Puts your present call on hold so you can call a third party. Then you can choose any of the functions R1, R2 or R3. Sigma 700 contains many special functions that are very useful. All these are located under the SET-UP menu. For instructions how to use these, please see below. To get access to the SET-UP menu, press and hold the STORE key (16) and then the &34# *" key until the text SET-UP appears in the display. This will take approx. 2 seconds. To step through the menu, use the RE-CALL ^ key (13). Whenever finished entering functions, exit by pressing the STORE key (16). *	To erase a code, press the WAIT key (12) to overwrite the programmed characters. *	To correct wrong entries, use the DELETE (back-space) key (11). Enter your personal numerical code to prevent non-	authorized persons from using and changing the data in the SET-UP menu. *	When PASS ---- is shown in the display, enter a 4-digit code. *	Exit by pressing the STORE key (16). You have now entered a personal code to get access to the SET-UP menu. Be sure to select a code that you will easily remember. In case that you forget the code, you will have to perform a "reset" (refer to page 19) of the phone memory which means that all programmed information is lost including phone numbers and special functions. Use this function to get easy access to an external line behind a switchboard, where you have to dial 0, 00, 9 or some other combination. The function CO automatically adds WAIT - eliminating the need to enter this manually. This enables you to use pre-dial, re-call, restrict, hot-line and other features behind a switchboard. Example: You want to dial the number 224466 from your extension. To get access to an external line you first have to dial a 0 (or 9 or the like), wait for renewed dial tone, and then dial the number. Zodiac Sigma 700 contains unique features that makes this much more easy to perform. Lift the handset, wait for local dial tone, then dial all digits in a row without having to wait for the outside dial tone, i.e. 0224466. The re-dial function also works. Your phone will automatically wait for the external dial tone and send the rest of the digits as soon as it has been detected. Note that you can press the HANDS-FREE ON key (17) instead of lifting the handset. Use pre-dial and programmed CO function - just dial the phone number 0224466 in a row without lifting the handset or activating the hands-free function. Check the display that the number is correct. If so, lift the handset or press the HANDS-FREE ON key. The phone takes the internal line, waits for dial tone, dials 0, waits for the external dial tone and upon detection dials the number 224466 - all automatically. In case there is need for yet another dial tone (for international calls) you only have to include that one too, and the telephone handles this one also automatically - eureka. *	Step in the SET-UP menu until the display shows CO ----. *	Press the required digit to access the outside line (most often a zero). Up to 3 digits can be programmed. Zodiac Sigma 700 will now wait automatically for the external dial tone and apply any limitation set to outside dialling (please see below). RE-DIAL and PRE-DIAL works without entering WAIT. Note that programming the CO function not implements that you may omit the prefix needed and that the phone executes this function automatically - if so you would not be able to make any internal telephone calls - only that the WAIT (wait for dial tone) function is included automatically. It is possible to block the access to certain groups of telephone numbers - i.e. expensive services, international calls etc. Thanks to the PASSWORD function, un-authorized persons will not be able to crack the limitations. By pressing WAIT first if you want to block a certain digit or digits. In this manner the telephone can be locked for i.e. international calls. By pressing "*" first you will authorize phone numbers which begin with a certain digit or digits - all other numbers which do not correspond to the combination are blocked. *	Step in the SET-UP menu until the display shows TOLL ----. *	Press the WAIT key (12) or "*" according to the description above and in addition to this one to three digits from the keyboard keys 0-9 (22). *	Exit by pressing STORE (16). If you so wish, the phone can be programmed to get access to only a very limited part of a city area. When trying to call a blocked number, "TOLL" briefly appears in the display, and the number cannot be dialled. In case the CO function was programmed in CO ----, this call restriction also works when you are phoning from behind a switchboard. Sigma 700 can be programmed to call a pre-programmed phone number as soon as you lift the handset or press the HANDS-FREE ON key (17). *	Dial the number before entering the SET-UP menu. You can dial from the keyboard (22), the memory keys (23) or by scrolling through the last four numbers dialled by means of the recall key ^ (13). *	Enter the digit "1"
Sigma 700 will now call the phone number you entered in the display as soon as someone lifts the handset or presses the HANDS-FREE ON key. Handy for the baby-sitter to call a certain number, to call an alarm number from the cashier, to call for a taxi from a hotel reception etc. To cancel the service, do as described above, but instead enter a "0". By doing so, it will only be possible to call numbers already programmed in memory. Suitable for shops or hotel receptions where only selected phone numbers may be used for guests and customers. *	Step in the SET-up display until it shows Lock 0---. *	Press the digit "1". The memory keys are now protected against over-writing or re-programming. *	Press the digit "2". The keyboard is now blocked and calls can only be done by using the memory keys. To cancel this function, do like described above, but enter the digit "0" instead. This function is not used in Sweden. Most banks nowadays offer several computer controlled services, i.e. account statements or transactions between accounts. When using these services you need to enter a specific telephone number, personal ID code, personal PIN code and the number of the account. Further, you can remote control a telephone answering machine, mini-call pagers by means of DTMF, and you can use it for purchasing and ordering. All these services can easily be performed with the Sigma 700. Just programme the necessary codes and account numbers into any of the memory keys and then perform them by means of a single operation. Several codes can be combined in one memory as every memory key stores up to 23 characters by programming a WAIT (12) function or press WAIT twice to generate a 3 second long pause in case the WAIT command is too long between codes. Press the HANDS-FREE ON key (17) to send the sequence up to the first WAIT character. In that manner you can step through all tasks, provided they are located in the same memory key. If you do not want to programme your personal ID code and/or your pin code, just enter it manually when the recorded message asks you to do so. It is also possible to programme the expected characters as input characters, which are displayed "_" (See also page 99). When requested, you need to enter the required missing number, which is only known to yourself. It is also possible to programme different memory keys for the different parts of the command and send them one after the other on demand by pressing the corresponding memory key. It is possible to check which codes were sent by pressing the ^ key (13) and step backward through the last 4 transmitted codes. This method is also useful if you want to repeat the bank transactions using a different account number. When the previous account number appears, use the BACK-SPACE key (11), erase the digits you do not want and replace them with new by using the number key pad. When programming for tone controlled services, first perform this manually and programme it afterwards. Note that WAIT waits for new dial tone and then dials the number, PAUSE (press WAIT twice) generates a 3 second pause which should be used in connection with automatic answering machines of the type "please enter your personal code" after the voice message. For your information, you need not to wait until the recorded message is over - you normally programme the phone number to the bank, then PAUSE and then the rest in one sequence. In case you programme WAIT you can send the number when you wish anyway by pressing the HANDS-FREE ON key. Please remember that after entering pre-dial, you must press the HANDS-FREE ON key to start sending what you have keyed in. Zodiac Sigma 700 is an advanced piece of equipment that contains a lot of features. When you find something that apparently won't work, always refer to this manual and once again perform the functions you want to use. ARE ALL CORDS CONNECTED PROPERLY? Check that the modular connectors are properly inserted, and that they have snapped in place (with an audible 'click'). If the problem remains, always try the outlet with another telephone to determine if the problem is the telephone line or the phone itself. Replace the batteries with new ones of the same type. Note: Leave the phone connected to the telephone line and leave the handset off hook during the replacement. Replace the batteries as soon as the display shows the message LOW BATT. To make sure that the programmed information in the memory remains undisturbed, leave the phone connected to the telephone line all the time. *	Lift off the handset. *	Open the battery compartment lid (31) on the bottom of the main unit. Remove the used batteries. *	Insert two batteries (type AAA) according to the instruction in the battery compartment. *	Put the handset back in place. *	Wait 30 seconds until the display blanks out. *	Lift the handset and observe that the LOW BATT message does not appear. The line current in your area is too low. Connect a Zodiac Original Adapter (accessory) 12 Volt 300 mA AC. Available or can be ordered from your dealer or from Zodiac. nothing works as it is supposed to. If this has happened you will have to perform a reset operation. Follow descriptions below. However, the reset will clear programmed functions and all memories are lost. 1. Disconnect the line cord and take out the batteries. 2. Lift the handset and place it beside the telephone. 3. Leave the phone like this for 30 minutes. 4. Follow the procedure "INSERTING THE BATTERIES" described on page 6. 5. Connect the telephone to the telephone line. Sometimes the system have difficulty receiving the first tone, especially when data is sent before the recorded message has come to an end. However there is a possibility to cure this problem - please contact your dealer or Zodiac. Zodiac warrants a 1 year guarantee from the date of purchase. Be sure to keep the receipt to be able to show the date when the phone was bought. The warranty does not include batteries, nor damage caused by water, strike of lightning or if the telephone has been tampered with. In case of trouble during the warranty period, contact your local dealer. Zodiac Sigma 700 normally does not need any maintenance - only occasionally wipe it with a moist piece of cloth. Do not place the phone in direct sunshine or in extremely humid or dusty environment. Power supply: Normally from the telephone line. If the line current is lower than approx. 15 mA, an 12 V AC 300 mA adapter should be used. Standard accessory. Back-up power: 2 batteries of the type AAA penlight. Environment: +5 ... +55 °C, 5...90 % humidity. Memories: 20 on memory keys with 23 digits capacity. Display: Max. 16 characters and 8 symbols. Battery warning: LOW BATT appears in the display. Ringing signal: 50 - 70 dB(A) in three levels. Keyboard:	 Keyboard keys 0 - 9, * and # plus 10 function keys including R key. Lock function: Programmable for outgoing telephone calls. Automatic re-dial: Once or 10 times in 60 seconds intervals. Dialling system: Conventional and pre-dial. Switchboard functions: Automatically wait for next dial tone. Dimensions and weight: 175 x 210 x 30 mm, 725 g.
Zodiac stands for high performance communications since 1963 and is renowned all over the world. Products of Swedish design are sold in 20 countries outside Sweden. To many people Zodiac means radio communication - CB radio, hunting radio and professional communication equipment. Equipment known for its high quality and high reliability. Every hunter knows Zodiac. But also Government and large corporations use Zodiac communication equipment. 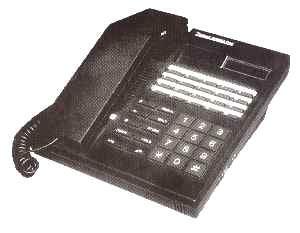 Since the liberalization of the Government monopoly during the 80's Zodiac also means telephones, telephone answering machines, PABX and cordless telephones - for both office and private use. In the Zodiac range there is everything from simple wall-mounted telephones to advanced telephone answering machines and PABX.